Home / brand new / brand new artist / música / THANKS / thanks unveil new single "Loose Gun"
thanks unveil new single "Loose Gun"
Time for some super catchy music! Los Angeles based psych pop/acid folk band thanks have unveiled their brand new single Loose Gun. This is a super infectious indie/synthpop track. Here the guys showcase their use of infectious pop melodies with psychedelic synth vibes and catchy choral lyrics, creating the ultimate summer anthem. Stream it below! thanks. is Steve Pagano and Mario Borgatta. Combining psychedelic pop, cinematic vibes and electronically influenced beats and melodies, thanks. have succeeded in creating catchy indie pop with an edge. 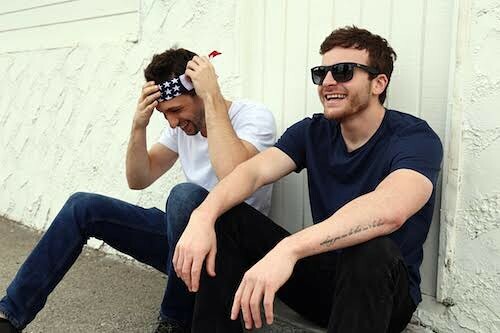 The duo emerged after meeting at Berklee College of Music in 2009. It was then that Pagano and Borgatta realized they shared the same sentiment for music and how aligned their goal really was. Together they have accomplished this goal in crafting a sound which is simultaneously unique and accessible to the masses. They set out with the intent to express their story through an artistic portrayal of music and lyrics, and prevailed in culminating a winning formula which can resonate with their audiences. Whatever the theme is, we do our best to keep it transparent so it can be interpreted in different ways.